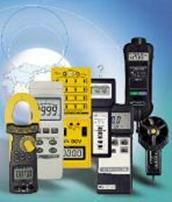 Gas Leak Detector Meters | Test and Measurement Instruments C.C. Ultrasonic Gas Leak Detector, 20 to 100 KHz, Bar LED , for Gas Leaks, and many other fault locations. Can be used with GS-400 for windscreen and other leaks. Ultrasonic Transmitter, Output 49 KHz (Used with GS5800). Used as Ultrasonic sound source. Notes on Gas Sensors, Detectors and Monitors with alarms. Gas leak detectors, Gas Analysers as well as gas sensors interact with a gas to initiate the measurement of its concentration which could be used to sound an alarm. The gas detector of gas sensor then provides output to a gas instrument to display the measurements. Common gases measured by gas detectors and gas sensors include ammonia, aerosols, arsine, bromine, carbon dioxide, carbon monoxide, chlorine, chlorine dioxide, Diborane, dust, fluorine, germane, halocarbons or refrigerants, hydrocarbons, hydrogen, hydrogen chloride, hydrogen cyanide, hydrogen fluoride, hydrogen selenide, hydrogen sulfide, mercury vapor, nitrogen dioxide, nitrogen oxides, nitric oxide, organic solvents, oxygen, ozone, phosphine, silane, sulfur dioxide, and water vapor. Important measurement specifications to consider when looking for gas detectors and gas sensors include the response time, the distance, and the flow rate. The response time is the amount of time required from the initial contact with the gas to the sensors processing of the signal. Distance is the maximum distance from the leak or gas source that the sensor can detect gases. The flow rate is the necessary flow rate of air or gas across the gas detectors or gas sensors to produce a signal. Gas detectors, Gas Analyzers and gas sensors can output gas measurement of the gases detected in a number of ways. These include percent LEL, percent volume, trace, leakage, consumption, density, and signature or spectra. The lower explosive limit (LEL) or lower flammable limit (LFL) of a combustible gas is defined as the smallest amount of the gas that will support a self-propagating flame when mixed with air (or oxygen) and ignited. In gas-detection systems, the amount of gas present is specified in terms of % LEL: 0% LEL being a combustible gas-free atmosphere and 100% LEL being an atmosphere in which the gas is at its lower flammable limit. The relationship between % LEL and % by volume differs from gas to gas. Also called volume percent or percent by volume, percent volume is typically only used for mixtures of liquids. Percent by volume is simply the volume of the solute divided by the sum of the volumes of the other components multiplied by 100%. 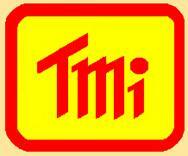 Trace gas sensors given in units of concentration: ppm. Leakage is given as a flow rate like ml/min. Consumption may also be called respiration. Given in units of ml/L/hr. Density measurements are given in units of density: mg/m^3. A signature or spectra measurement is a spectral signature of the gases present; the output is often a chromatogram. Common outputs from gas detectors and gas sensors include analog voltage, pulse signals, analog currents and switch or relays. Operating parameters that are important to consider for gas detectors and gas sensors include operating temperature and humidity. Gas Detector with Alarm for one of many gasses i.e. O2, CO, H2S, HCN, CL2, SO2,NO2,NH3,PH3,O3,02-R. Adjustable alarm set Points, Ruggedised rubber casing. Ultrasonic Gas Leak Detector, for Compressed Air, Steam Traps, Bearing Monitoring, Pump Cavitation Detection. Supplied with Headphones. Large Memory. Airborne Ultrasonic Leak Detector. With flexible sensor, Head Phones, Rugged Carry Case and Manual. For Easy detection of Many Faults. 38,4 kHz +- 2kHz. Ultrasonic Leak Detectors can be used for a wide variety of tests including airborne measurements for gas leaks, compressed air, steam traps, bearings, pump cavitation detection, vehicle windscreen leaks, window and roof leaks etc. Refrigerant Gas Leak Detector. With flexible sensor, Detects all types of Halogenated Gas. Adjustable Sensitivity: 5PPM. LED Alarm Indication.